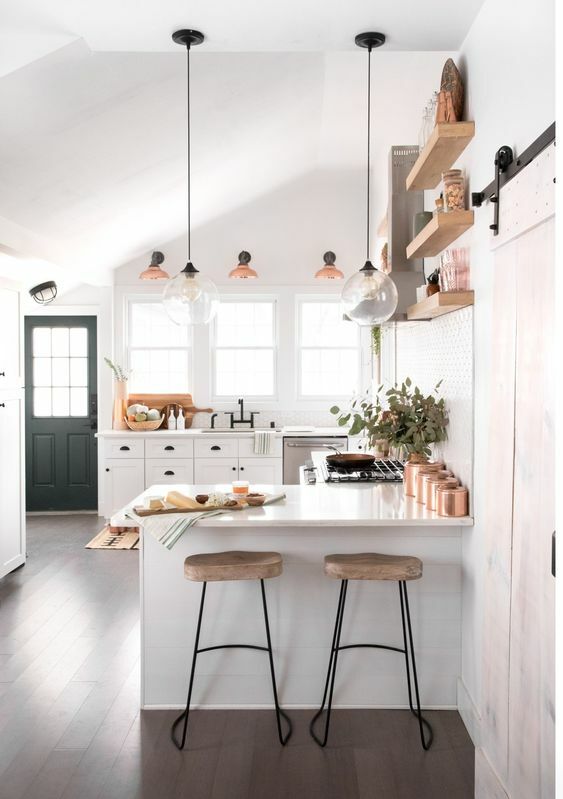 Danish interior style is still a favorite for so many people. 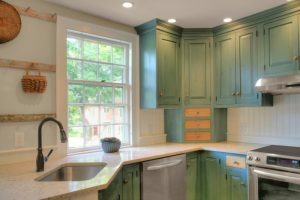 Despite the outburst, people still want to have it in their home. Because, well, it looks neat and modern and practicality is still what people going after now. 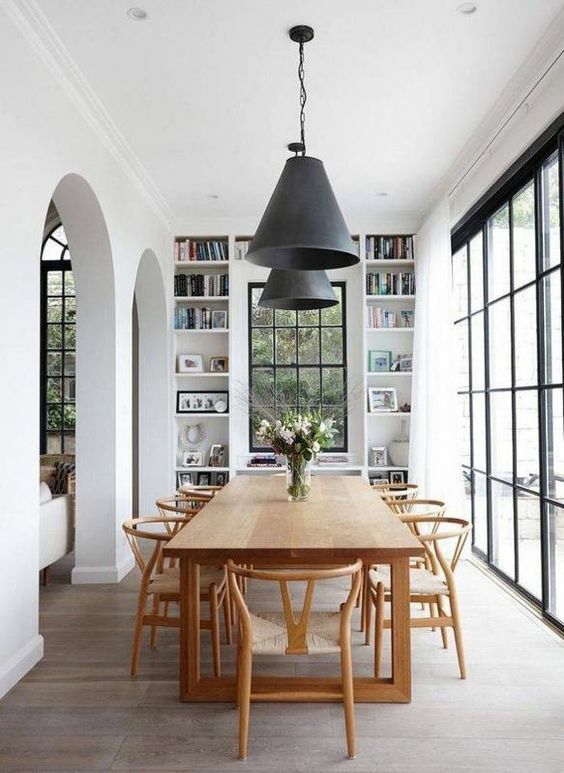 And below are ten great dining rooms with minimalist and modern look that depicts beautifully. 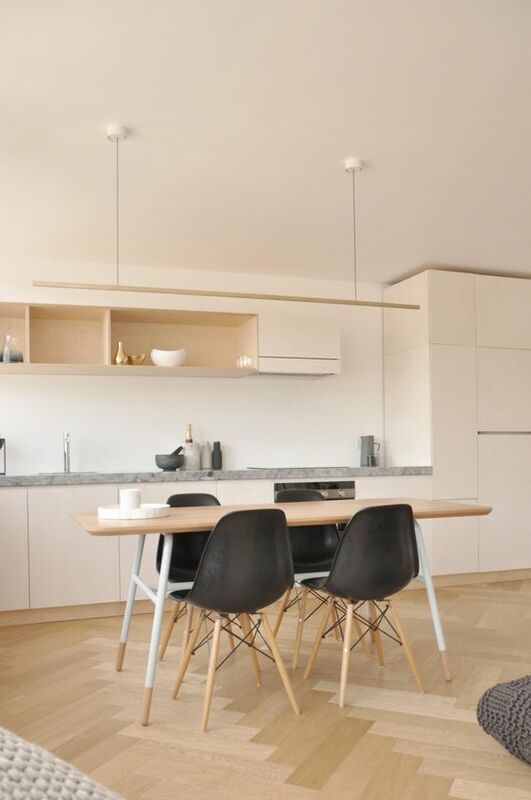 With minimalist furniture, dining room will look more airy and spacious. And that will lead to the calming effect the room has. 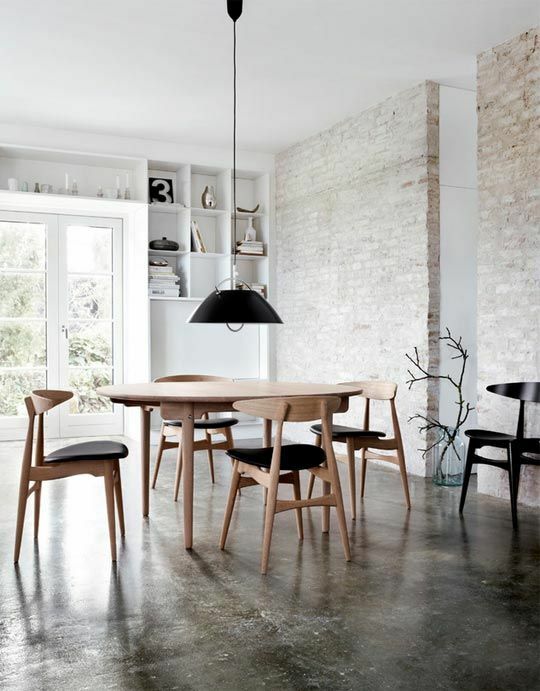 Seen in the picture below, in the dining room with cement look on the floor and open brick on the wall, the natural and open feeling from the wooden dining set is well exposed. 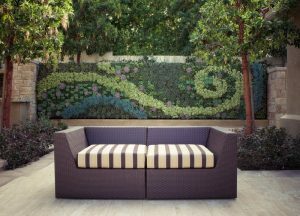 The sleek and clean lines depicts modern and natural character. Having a large window and door to the dining room is a blessing. 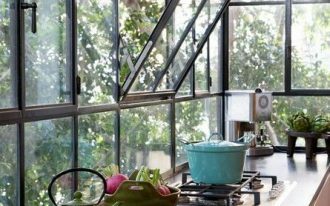 It is a great feature to have because it gives free beautiful light on the day and air circulation that can goes on very well. And to complete the look, of course the sleek and smooth minimalist wooden dining set is the best. 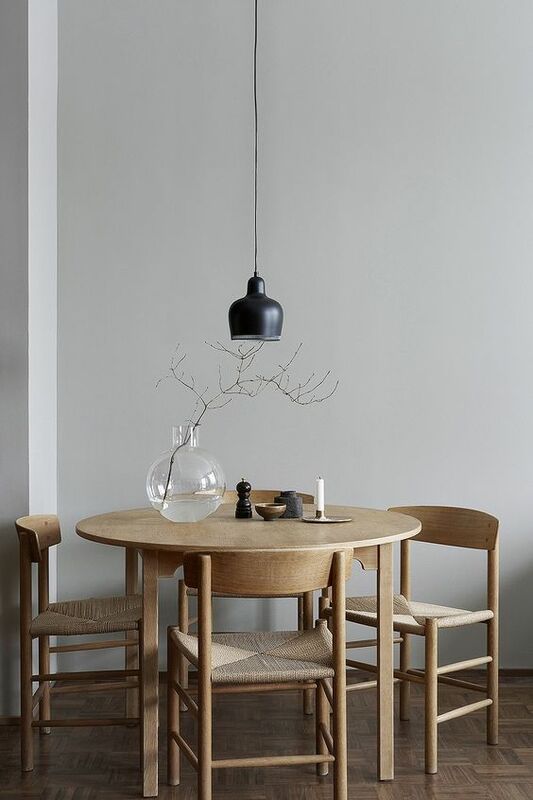 In a natural and neutral look of dining room, this lanky wooden dining set looks perfect. It complements the room very well. 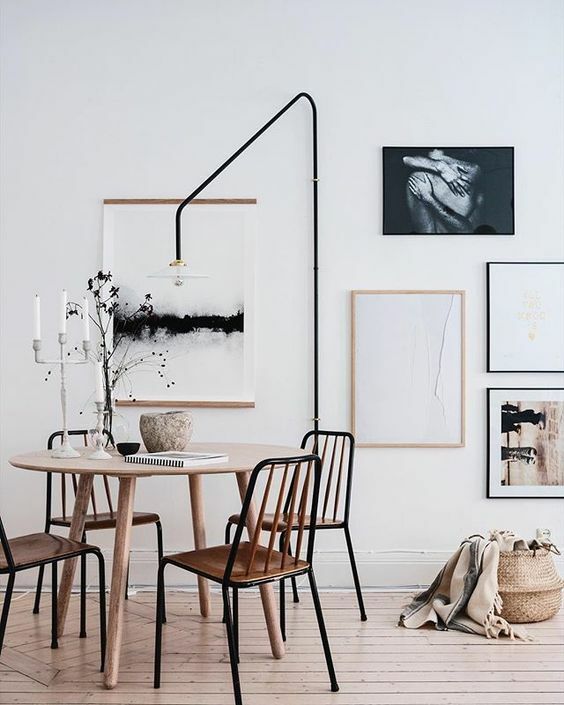 Even the lamp has this lanky loo like a floor lamp when it is actually installed on the wall and angled unusually to the dining set. 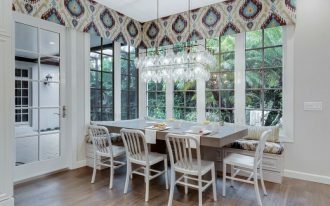 In this one, you can see the minimalist round dining table that looks perfectly pretty accompanied with wooden chairs with rattan seating. The urge to use all natural material pays off. In this one here, you can see the all natural material on the dining room from the floor to the floating shelves. 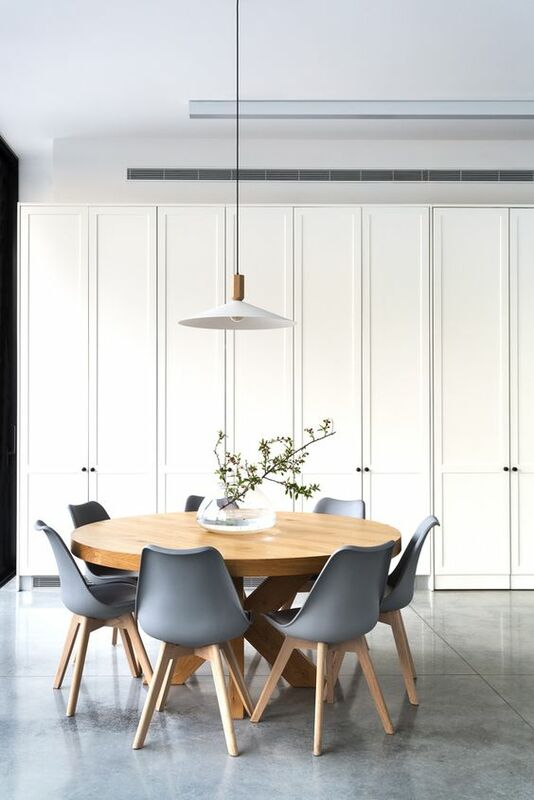 This minimalist dining room is a great inspiration for those who love calming natural feeling and modern finish. 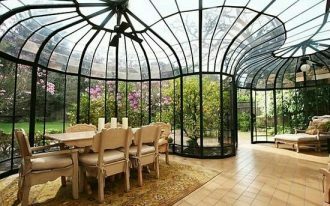 Having arch in the room is really another blessing besides large glass windows, like seen in the picture below. 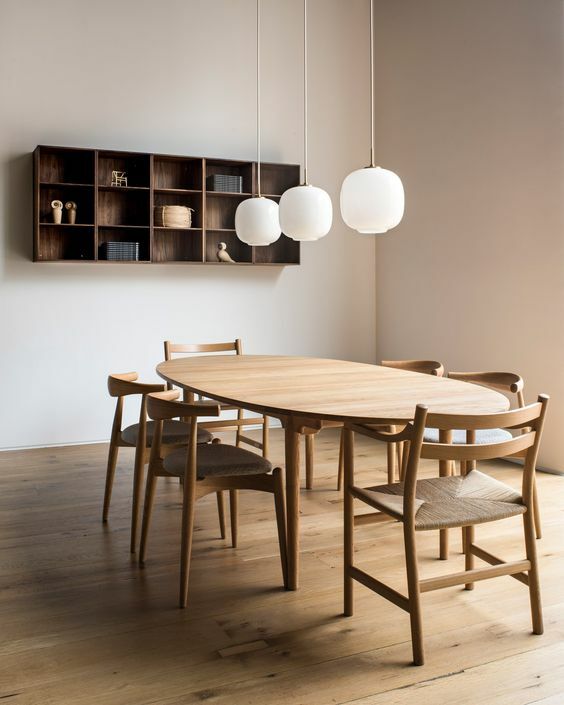 Putting inside a modern dining set is a great step. With the view from the outside and natural forces on the floor, table, and chair, the room naturally beautiful. The black pendant matches well with the window. 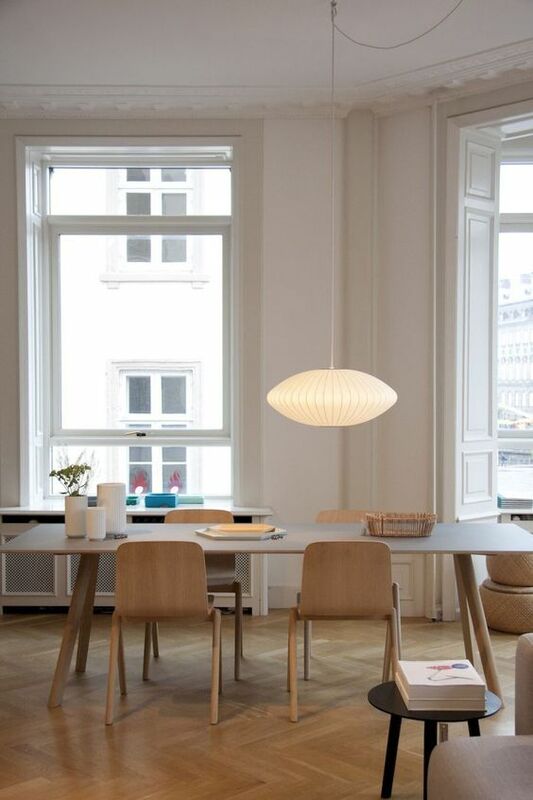 This Danish design makes the room feels amazing. 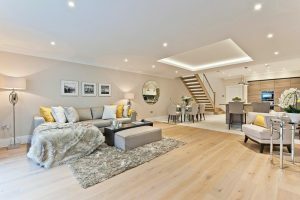 Beige can look so neutral that it looks the best when it is combined with natural material. With natural look on wooden floor and table, the entire beige cabinet looks natural themselves even if they aren’t. In modern inspired look, soft blue that come neutral will be a great touch to make thing different but not too far away from the initial purpose. Getting grey hue on the room is really interesting. Staying in this hue for everything the room makes it looks so minimalist and modern. 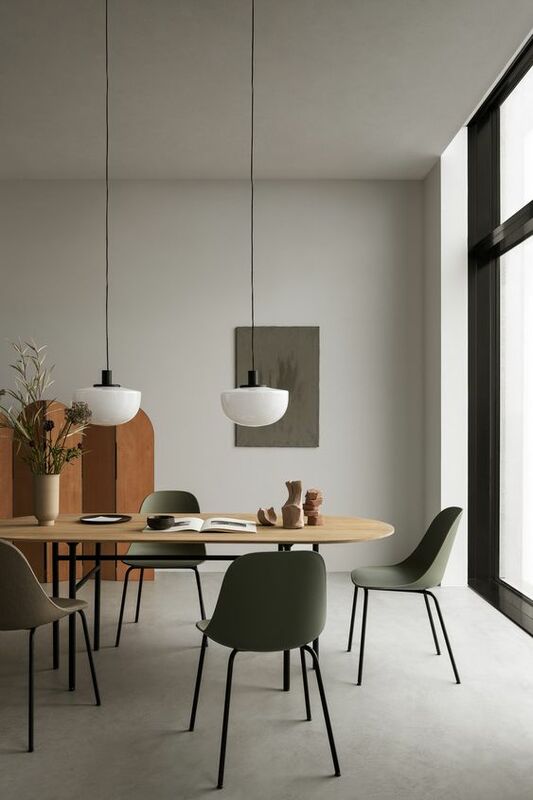 The clean lines in the curvy table and chairs brings irresistible look, especially when it matches with the lines in the pendant and room divider. 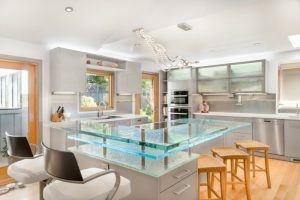 While the previous one shows minimalist and modern look in dining table set, this one here depicts how it will look good on kitchen island, with wooden seat stool and the white polished counter top, wall, and glass pendants.